ASURE Alfresco Motor Lodge has 14 ground-floor modern units, providing accommodation for family, corporate and sports visits. The range of units include studio, 1 bedroom, 2 bedroom and interconnecting wheelchair access units. All units have a ceiling fan. Corporate and sports team rates are available. Mick and Cath look forward to making your acquaintance and wish you a pleasant stay in Gisborne. These sunny units contain a Queen-sized bed plus a single bed. There is a hob top, microwave, utensils for cooking. A 49 inch Smart TV with 8 sky channels. Relax in a spa bath with a shower over. These units have a Queen-sized bed and a single bed. A hob top, microwave and utensils for cooking. 49 inch Smart TV with 8 sky channels. 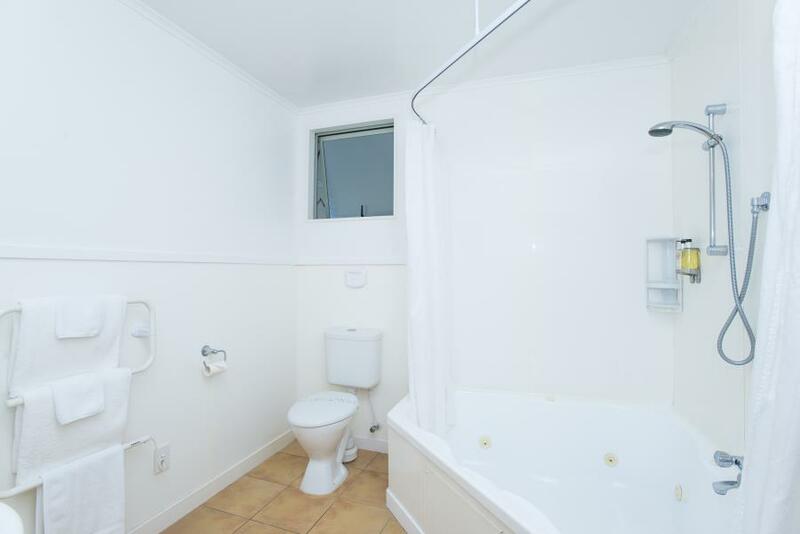 A separate bathroom with shower only. Two of these units are interconnecting and offer accessible bathrooms - please request at time of booking if required. A Queen-sized bed in 1 bedroom, and 2 singles beds in lounge. Generously sized units with self catering facilities. Great for families or sports teams. A 49 inch Smart TV in the lounge and an extra TV in the master bedroom. 8 sky channels and 18 Freeview. A Queen-sized bed in 1 bedroom, 2 singles in another bedroom and 2 singles beds in lounge and kitchen facilities with appliances and utensils.Generously sized units. Great for families or sports teams. A large corner spa bath with a shower over. A 49 inch Smart TV in the lounge and an extra TV in the master bedroom. 8 sky channels and 18 Freeview.